Bay City Housing Commission | "enhancing the quality of life in our community"
Since 1966, the Bay City Housing Commission (BCHC) has served as one of the largest and most respected affordable housing providers to area families, seniors and persons with disabilities. Our properties included mid and high-rise senior/disabled multifamily buildings with single bedroom apartments. 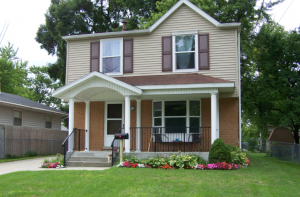 Our Neighborhood Family properties include single to 5 bedroom homes located throughout the Bay City’s historic neighborhoods. Our properties are managed and maintained by an experienced and dedicated professional staff with the intent on serving the best interests of Bay City residents. To meet the needs of our customers for affordable housing, we partner with the City of Bay City, the United States Department of Housing and Urban Development (HUD), Michigan State Housing Development Authority (MSHDA) and private sector financial institutions. Does your family have three persons or more? Our wait list is not too long for three, four and five bedroom homes! Stop by our Administration Office at 315 14th Street and pick up your application today. Click here to view our properties and see more details about living in one of our communities. Call our leasing agents today to assist you with determining your eligibility! Family homes have a waiting list that is prioritized by date of application, employment status, residency, displaced by federally declared disaster, etc.